Apple's alleged plans to double down on the quality of its iPhone, iPad, and Mac software platforms, rather than rush to introduce new features, have been revealed in more detail by Mark Gurman at Bloomberg News. The report claims that Apple's software engineers will have more discretion to delay features that aren't as polished, with the company essentially shifting to more of a two-year roadmap for iOS and macOS, rather than trying to release major feature-packed upgrades every single year without question. Instead of keeping engineers on a relentless annual schedule and cramming features into a single update, Apple will start focusing on the next two years of updates for its iPhone and iPad operating system, according to people familiar with the change. The company will continue to update its software annually, but internally engineers will have more discretion to push back features that aren't as polished to the following year. The report describes Apple's new strategy as a "major cultural shift," and an admission that its recent software updates have suffered from an uncharacteristic number of bugs, ranging from a critical root superuser vulnerability on Mac to iMessages appearing in the wrong order across Apple devices. Apple's commitment to a fast-paced iOS release schedule already led some features to be delayed regardless, including Apple Pay Cash and Messages on iCloud, so the new strategy would likely involve not announcing or testing those features in beta until they are much closer to being ready for public release. Despite the increased focus on under-the-hood refinements, iOS 12 is still expected to include some significant new features, including Animoji in FaceTime, which will enable people to place virtual faces over themselves during video calls. Additionally, in iOS 12, Apple is planning deeper Siri integration in the iPhone's search view, Do Not Disturb improvements that will give users more options to automatically reject phone calls or silence notifications, a redesigned version of its Stocks app, and a multiplayer mode for augmented reality games. As previously reported, Apple is also expected to make it possible for developers to release apps that work across iPhone, iPad, and Mac, starting with iOS 12 and macOS 10.14, which should be introduced at WWDC 2018 in June. Last month, Gurman reported that developers will be able to design a single third-party app that works with both a touchscreen, and a mouse or trackpad, depending on whether it's running on an iPhone, iPad, or Mac. Apple would presumably also streamline its own apps on the desktop and mobile. The report didn't reveal exactly how the process will work, but Apple could be planning to release a new SDK with new APIs that enable true cross-platform functionality. Right now, Apple's UIKit and AppKit frameworks provide the required infrastructure for iOS and macOS app user interfaces respectively. 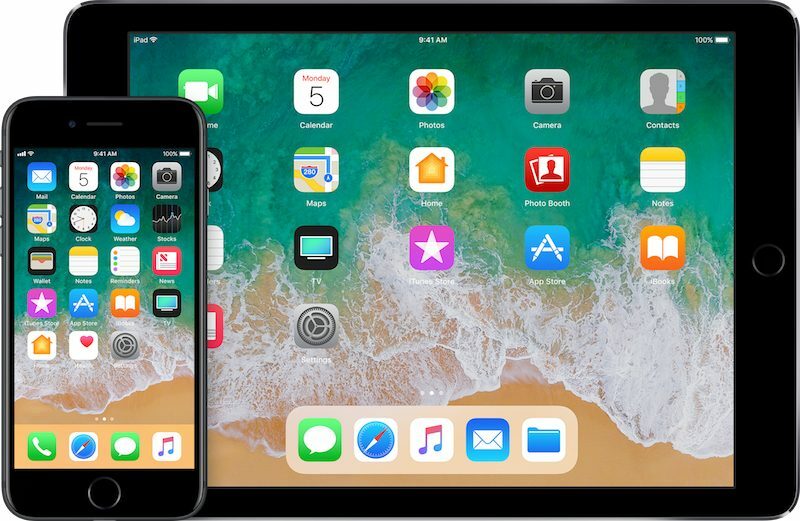 Today's report reiterates other features that are delayed, including redesigned home screens on iPhone, iPad, and CarPlay, tabbed apps on iPad, and the ability to view two screens from the same app side by side on iPad. So, they will focus on more Emojis and will highlight the weakest feature of the current ecosystem -- Siri. The report claims that Apple's software engineers will have more discretion to delay features that aren't as polished, with the company essentially shifting to more of a two-year roadmap for iOS and macOS, rather than trying to release major feature-packed upgrades every single year without question.The report describes Apple's new strategy as a "major cultural shift," and an admission that its recent software updates have suffered from an uncharacteristic number of bugs, ranging from a critical root superuser vulnerability on Mac ('https://www.macrumors.com/2017/11/28/macos-high-sierra-bug-admin-access/') to iMessages appearing in the wrong order ('https://www.macrumors.com/2018/01/23/apple-releases-macos-high-sierra-10-13-3/') across Apple devices. This is honestly a smarter move by Apple. While we get excited by annual updates (and some get annoyed by the ramifications of this), it isn't a terrible move to bring back responsible practices in this era where Chrome is at version 64 and other companies release new versions constantly just to provide the appearance of rapid development. Rapid development, when not done responsibly, causes chaos, produces security issues, and erodes user confidence. Focus on stability, security, and then feature enhancements. macOS does for me right now what it needs to. iOS does for me right now what it needs to. I don't have this insatiable need to always see a new major version every year based upon some arbitrary calendar schedule. "I'm sorry, I don't understand what that means"
Who wants Emoji's on FaceTime?? We want multi conference calls!!! "Here's what I found on the web"
Surely Apple has enough money, talent and resources to dedicate a team to quality control while also working on new features.... Maybe they can borrow from the huge department they apparently have designing emojis. Sure would be nice if do not disturb could handle multiple entries. I’d like to have a different dnd setting for weekends. Not sure why that has been overlooked for so long.